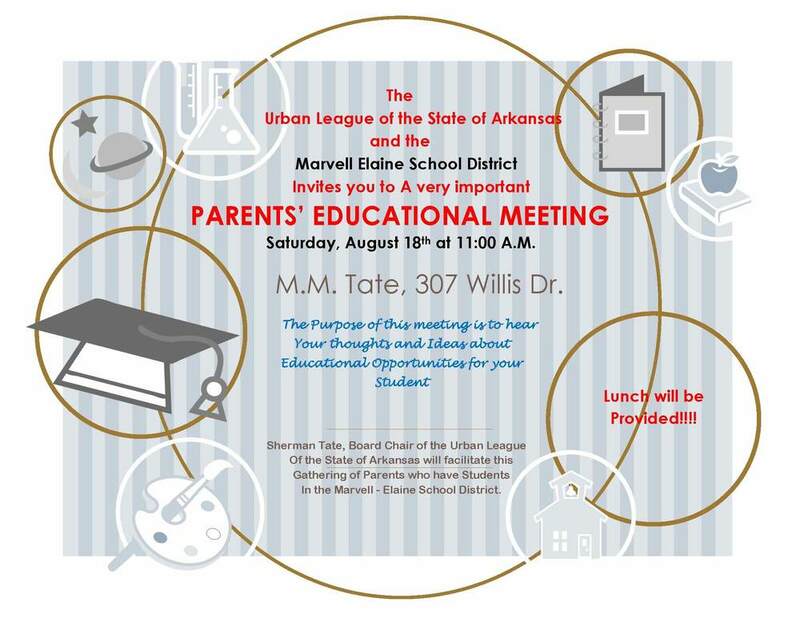 The Urban League of the State of Arkansas and the Marvell-Elaine School District invites you to a very important Parents' Educational Meeting. Saturday, August 18th at 11:00 a.m.
at M.M. Tate, 307 Willis Dr. The purpose of this meeting is to hear your thoughts and ideas about educational opportunities for the Marvell-Elaine students. Sherman Tate, Board Chair of the Urban League of the state of Arkansas will be the facilitator.